For this I attempted to open the .shp for a Titan mech, and make a cameo of it-but the leg and turreted sections were stored in separate parts of the shp, so using the cameo generator would only produce half of the unit. Sound complicated? Here's a breakdown. 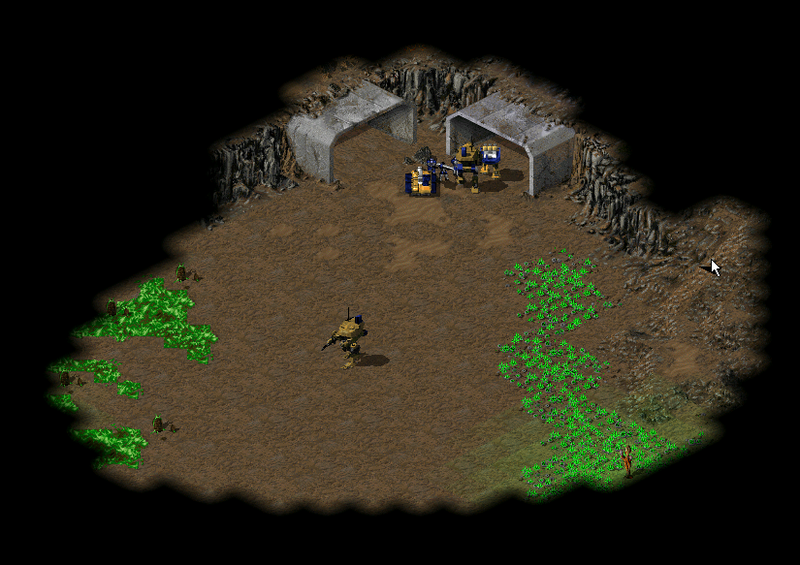 First, I took a screenshot of a scene in-game, on a map with a fairly neutral background. 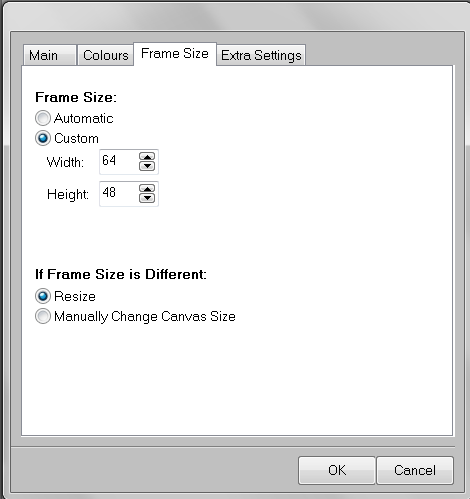 If you're using a picture from say, google, or you have custom artwork, you won't have to take a screenshot obviously. But the process from here should be similar. 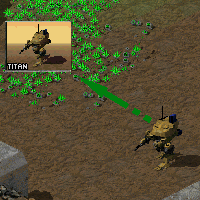 Next, using Paint Dot Net I cut out the Titan specifically using crop to selection and the magic wand, I also seperated the Titan from its shadow and stored them on seperate layers. I also cut the dimensions of the original screenshot down, 64x48 is the size that cameos need to be so doing that from the get-go will prevent loss of quality later when it NEEDS to be resized. Note: You don't need to use Paint Dot Net, I suppose any image editor will suffice as long as it supports PNGs, multiple layers, and transparency. If you're competent in any mainstream editor you could do the same thing. You also don't have to create a cameo with an in-game screenshot, if you have art or something from google you can make a cameo of it. 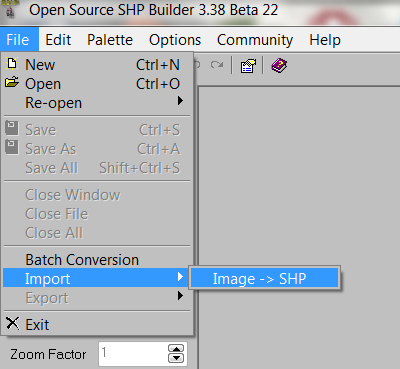 So now I had a rough idea of what the cameo would look like: A nice PNG file which can be imported into OS SHP builder via the file/import/Image --> SHP tab. With the import tab open, you'll want the following settings. I'm not sure they're all necessary but I had... Issues without them, and I found this specific combo to work. 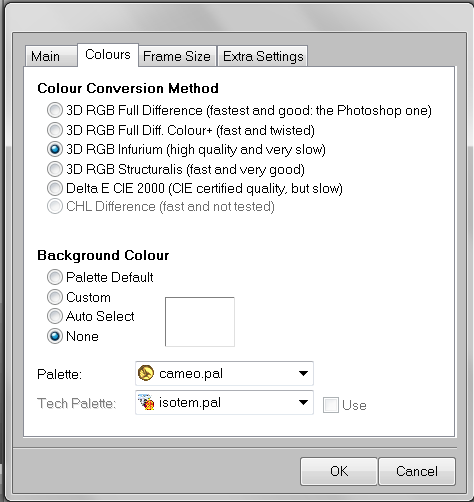 With all of these settings correctly done, you're good to hit 'OK' and import your PNG file. Once you get in the interface, go to tools/misc/Cameo Generator. 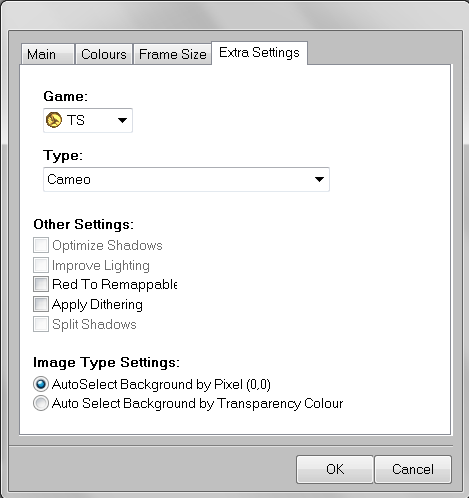 Make sure that the Game is set to TS, and that your options either resemble this or you know what you're doing. With all that done, simply do a save as, navigate to your new cameo SHP and open the .mix archive you want to add it to using XCC Mixer, then drag and drop it in. 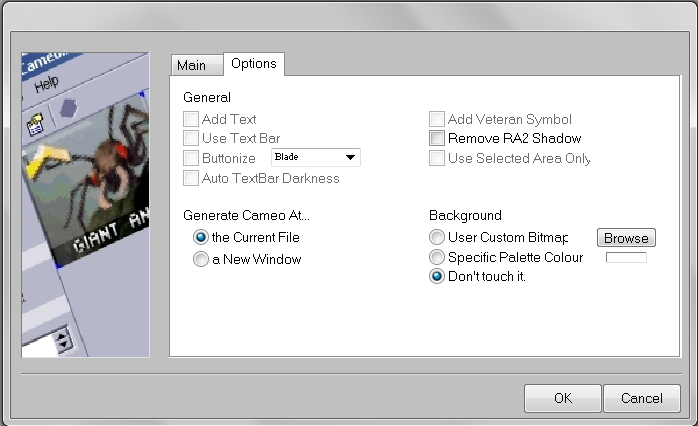 If you followed these steps, and correctly referenced the cameo in your art.ini file, you should now be able to see it in game! Here's an example of the treatment given to a Zone Trooper model done by Machine - excellent work by the way. It's awesome. So, in closing, I hope someone somewhere finds this tutorial helpful. I know there are other tutorials out there on how to create cameos but none seemed to have exactly what I needed, and some were REALLY out of date. If you have a problem with the steps described you can PM me and I'll do the best I can to help you through it. Best regards, and happy modding! nice tutorial with a well detailed description. Only for the image conversion i would suggest using "Delta E CIE 2000". It's the slowest but giving best result imo and for a single tiny cameo image, the speed doesn't matter. Another hint: if you have to create a lot of cameos this way, i would suggest creating a plain colored ground tile and create a testmap using this ground. 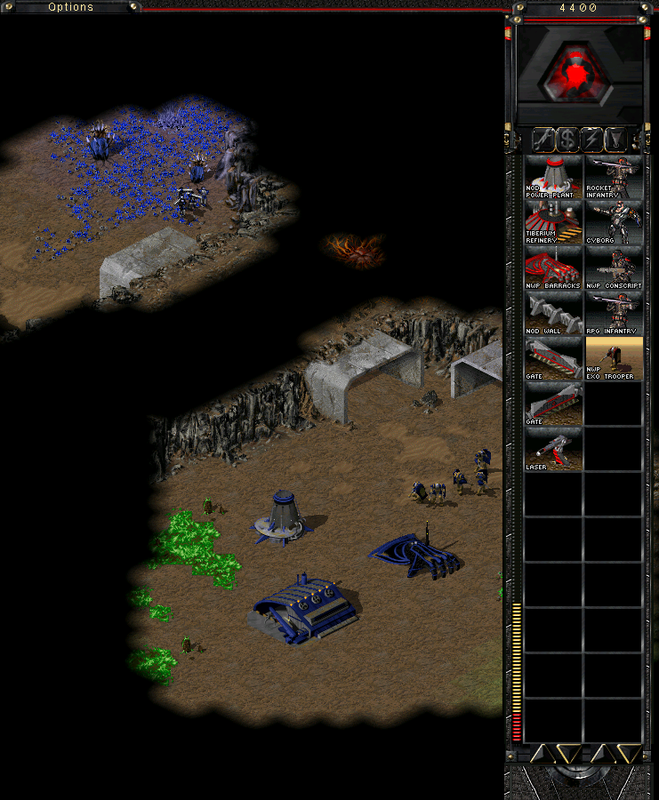 It should make the cropping out the unit part much easier when you don't have a brown/gold unit above a brown ground, but a plain purple ground for example. 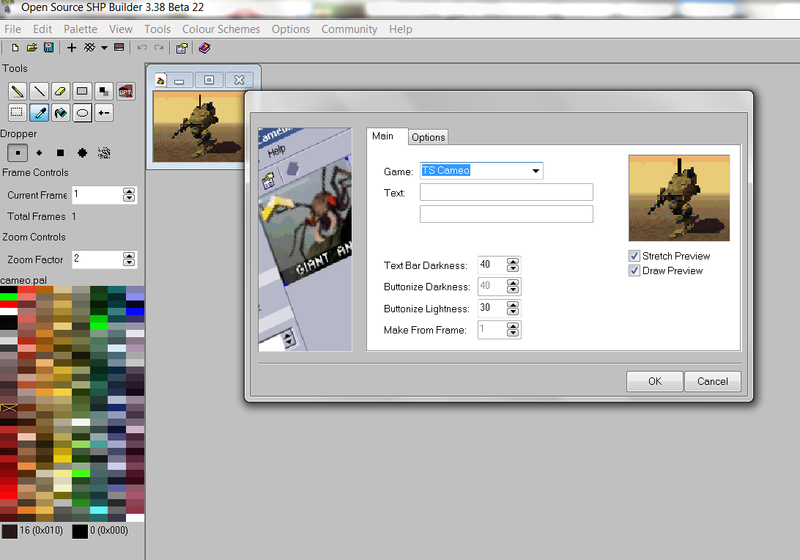 @Banshee: can you upload the images to PPM before the external hoster deletes them and renders the tutorial useless? It's done. I've also included the keywords for it . Nice tutorial, by the way. And both Infurium and Delta E CIE 2000 provides great results. Maybe Delta E CIE 2000 is better, but I'm not sure. Banshee and LKO, thanks for the feedback and support!